Accurately tracking the how many people are homeless and rough sleeping has become practically impossible given that an increasingly large number of people are falling in and out of fixed accommodation. However, there is little doubt that the problem is getting worse, particularly when observing the “hidden homeless” phenomenon – i.e. those in gainful employment that are still struggling to find a decent and affordable place to live. Exclusively blaming the speculative nature of larger property markets such as London would be unfair – but, objectively speaking, market rents that are increasingly out of sync with incomes and other negative influences such as Local Housing Allowance caps are undoubtedly having a contributory effect. Many readers would already aware of the charity Crisis´ work both in service centre provision across the UK and as a central government lobbyist. What may not be known is that the organisation is also actively looking to build synergies with the private rented sector. The aim is to collaborate with socially conscious landlords to provide good quality accommodation and make a real difference in shaping ex-homeless people´s future. Interestingly, under this initiative, the ability to provide landlords with assurance of overcoming perceived risks (such as rent arrears, more intensive management and property damage) is viewed as a priority. We were very pleased to be able to discuss Crisis´ objectives with Chris Hancock, Head of Housing. In part 1 (below), Chris provides high level understanding about how Crisis operate, what types of housing the organisation is searching for, some of the recognised barriers to entry, the “social lettings agency” concept (currently being rolled out across the country) as well as landlord responsibilities (part 2 can be read here). To accompany this interview, we would strongly suggest reading the Crisis “Home – No less will do” report, which delves into this area in much detail. 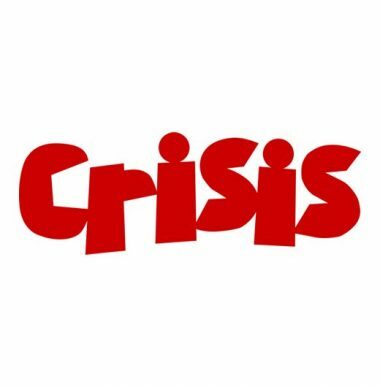 PIB: Can you give us an idea of how Crisis operates in the homeless sector? CH: Absolutely. In terms of our focus, Crisis operates on two fronts. Firstly, we run 11 centres across England, Scotland and Wales where we provide direct services to homeless people in the form of help with access to housing as well as employment advice, training / education and other activities such as arts and drama. Our housing coach teams principally help people access the most affordable accommodation they can find in that location. Single people in most parts of the country are not entitled to help with housing from the council to the same extent that families are – so our members, as we call them, are predominantly single people. Given the lack of supply of affordable social housing are most common housing solution for members is found in the private rented sector. We have worked to make the PRS a viable housing option for homeless people since 1997 through our own work and through funding and support to other organisations. We also work with people that are homeless and in employment who typically need help finding somewhere more affordable. Secondly, our policy and campaigns work is aimed at raising awareness of the issue of homelessness to the wider public, to see positive policy change at national and local government to end homelessness and one of our principal strategies to do this is to build wider ties with the private rented sector. PIB: In terms of how you house single people that are transitioning away from homeless life, would the typical housing requirement be multi-let / HMO type properties under assured shorthold tenancies or is there a specific model that Crisis adopts? CH: It´s real mix as we’re working across various housing markets. For example, in London shared accommodation or bedsit studio accommodation would be more realistic as demand is so high and it is not so easy to find larger units that the housing benefit payments would adequately cover. Related to this, the government changes to housing benefit for the under thirty-fives mean that they are now only eligible to receive shared room rates. Therefore, many of our members do not really have any other options. Although we do know that sharing can be a really successful option, and a more affordable stepping stone whilst people undergo training or education before moving on into settled employment and then can look at their own home. PIB: Many readers of this blog will be aware that the level of homelessness increased quite dramatically in recent years. Whilst not the sole causal factor, London, the Southeast and a number of other large conurbations have witnessed huge house price rises which are showing little sign of abating. This ultimately means that landlords who are interested in stepping into the housing the homeless segment of the market invariably confront challenges, particularly when adding in the Local Authority Allowance (LHA) caps, financial, onerous licencing and other regulatory barriers to entry. In light of these difficulties, what are your thoughts on moving forward? CH: In terms of building working relationships with landlords, a dose of realism is required in terms of who we can work with – particularly as housing benefit levels are no longer linked to the market rent level in the same way they used to be. Today, we´re seeing a widening gap between private market and LHA rates, which will remain frozen until 2020. This means that many landlords, who we understand have mortgage and other holding obligations, will find it harder to feasibly participate in such homelessness initiatives for the time being. PIB: Yes, achieving a satisfactory yield, especially for small to mid-sized landlords, in areas like Greater London has become increasingly difficult as prices have risen phenomenally in recent years. From this month onwards, there will also be the added cash-flow challenge for landlords with high borrowing levels resulting from mortgage interest relief restrictions. However, what would you say to landlords are lowly geared and/or may be willing to accept lower levels of rent (compared to the market) in return for longer tenancy agreements and perhaps other guarantees? CH: For us it´s about attracting the right kind of landlords that share our vision. For example, we often work with people who have inherited an unencumbered property or a portfolio owner who may be cross-subsidising or offsetting some of the costs to achieve efficiencies of scale in terms in the way they repair and maintain their properties. A number of landlords we work with are in property for the long haul and so are not overly concerned about short term rental income. They simply want peace of mind that they are doing something socially minded with the further guarantee of longer tenancies. With us, through the roll out of a social lettings agency model, landlords are getting a longer-term and more settled tenancy than they might receive with a commercially-focused agent. PIB: Can you talk a bit more about the “social lettings agency” concept? It would be interesting to hear how landlords working with the ex-homeless, for example, do not inadvertently become slumlords. CH: There are a number of approaches we take. Firstly, members who are looking for housing participate in an accredited “Renting Ready” training course which is an equivalent to a NVQ level one. This is aimed at people who may not have had a tenancy or it´s been a while since living in rented accommodation. It’s about 24 hours of learning which we spread across four days or sometimes over smaller sessions over a number of weeks. The course covers rights and responsibilities as a tenant, keeping the place clean, working on a budget, sharing with other people etc. It’s a really comprehensive look at how they can make the tenancy a success. This may indeed be the first time some people have actually completed a formal qualification so, as well as boosting self-esteem, it is used as a selling point to landlords as a means of demonstrating that they are willing and determined to be good tenants, pay rent on time and look after the property. On a slightly larger scale, we are also supporting “Help to Rent” projects around the country. Similar to the social lettings agency model, we support former homeless people to access secure rental tenancies whilst assisting landlords to ensure the entire process runs smoothly. CH: Yes absolutely – this is a frustration of ours that we´ve actually seen at a local government level and we´re concerned about the concept of the social lettings agency being damaged. We have differentiated ourselves by not trying to run before we can walk. For landlords considering working with such organisations, my tips would be to look at the pedigree of the organisation (including the financials), asking questions such as how long they have operated in this market in addition to what the tenancy sustainment levels and claim rates on their deposits are. Most established organisations would be willing to confidentially share such information and ensure that you are comfortable about handing your property over. PIB: Going back to the question of finding workable solutions in speculative parts of the country such as London, there is seemingly a growing tendency for people struggling to find housing to be allocated to the Midlands and the North, often involuntarily, where prices are cheaper. This potentially creates the risk that poverty-related issues in these areas becomes more entrenched. What are Crisis´ thoughts on this practice? CH: We only generally would advocate this when a tenant genuinely wants to pursue such a move and there are adequate support networks. Research we undertook a few years ago demonstrated that when moving to a distant location is “forced upon” someone, the landlord-tenant relationship suffers – particularly if the local authority does not have a sufficient level of support services in place. CH: Yes, there are employment reasons as well. I’ve spent quite a lot of time visiting accommodation our members stay in and many are willing to accept smaller spaces in cities like London – provided they are close to their places of work and their travel costs are not too onerous. PIB: And what about the landlords´ responsibilities? CH: In advance of finding any tenancy, the social lettings agency will carry out full property inspections on any project we support. It is important that the people visiting the properties have the right level of expertise in terms of assessing any potential hazards and risks. Schedules of work may well be produced which will require any necessary jobs to be completed before taking on the property. As you alluded to in your previous question, there is a subset of the market which continues to operate in really appalling conditions who let property to vulnerable tenants who don’t feel that they’ve got a choice. The wider rollout of the social letting agency model will mean offering better support for those living in such conditions. Part 2 of this interview can be accessed by clicking here.